A drowning man takes down those nearest. 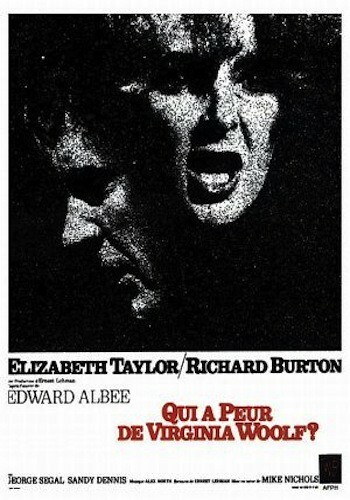 The American Cinematheque Presents WHO’S AFRAID OF VIRGINIA WOOLF? Discussion following with actor George Segal and cinematographer Haskell Wexler. All ticket buyers eligible to enter a drawing for a free DVD box set of Elizabeth Taylor classics. Special thanks to Warner Home Video for this giveaway! Present your Egyptian Theatre ticket stub at The Hollywood Museum for $2 off your museum admission to see an exhibit of costumes worn by Elizabeth Taylor! Exhibit details here.